Posted by Jon in News, Wild Birds on Sunday 23/08/2009 18:48 UTC. 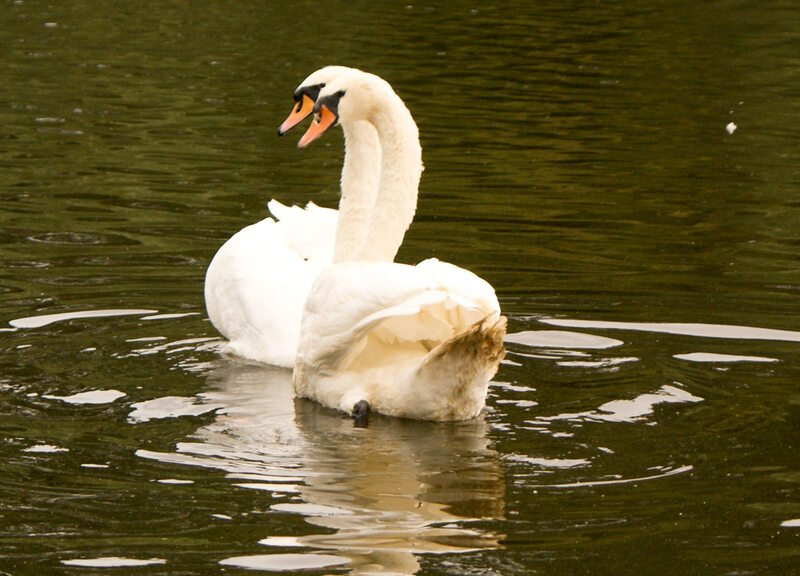 This beautiful swan came to us from Shipley County Park. It had a fishing hook lodged into its body. Following a trip to the vets to have the hook removed, it is now recuperating in a pen on antibiotics and painkillers. Yesterday we released this Mute swan back where it came from. We carried it to the lake and fortunately found its partner. A crowd gathered and it was a tear jerking moment as the two were reunited with each other. Swans mate for life, so we were really chuffed to see the two back together. 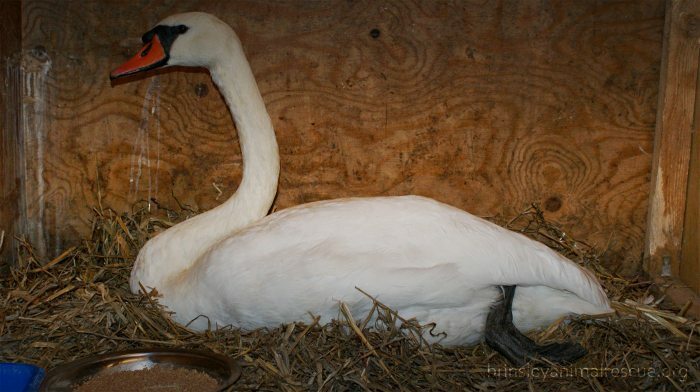 Swan being released, its partner eagerly watching. 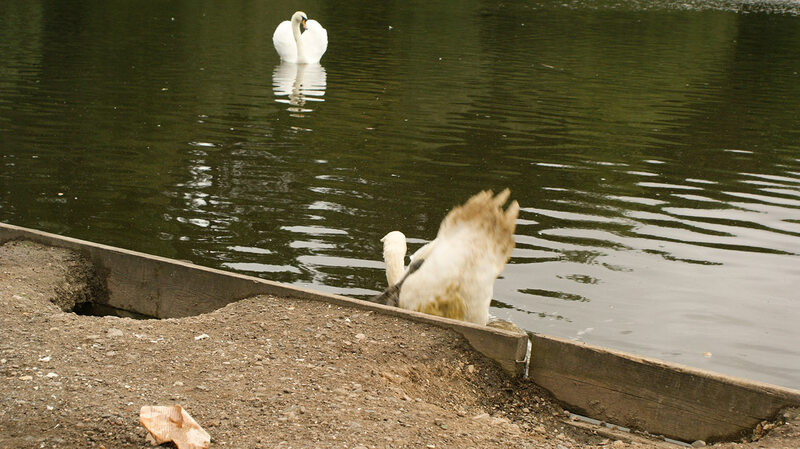 The Swan takes the plunge after a week in our care. So happy to see each other again. View more posts in News, Wild Birds or browse all posts.You can follow this story via its RSS 2.0 feed.